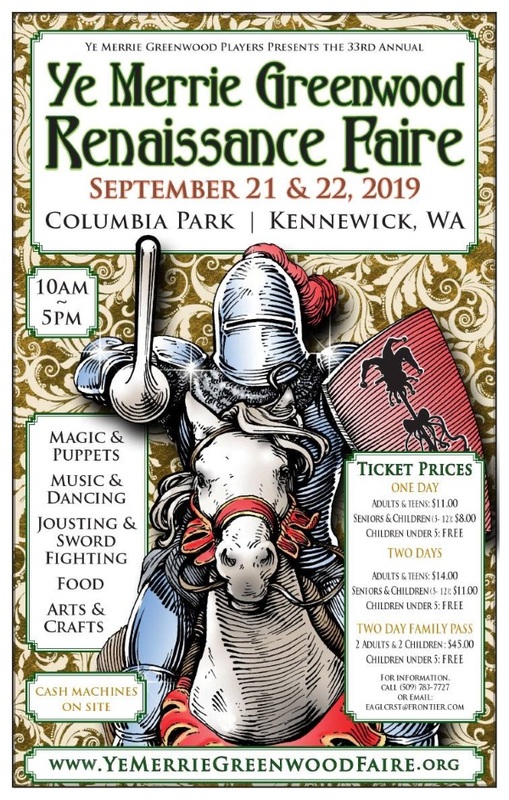 Greetings and welcome to the home of Ye Merrie Greenwood Players, and Ye Merrie Greenwood Renaissance Faire! We invite you to look around. Here you can learn about who we are and how we came to be. Our performing schedule for the year, and specifically our own Ye Merrie Greenwood Renaissance Faire. You can find out about how to join us as actors and tech crew, or how to be a vendor at the Faire. in Ripon, in Yorkshire England! Vendor applications for 2019 are available now! The 2019 Rehearsal Schedule has been posted!